We are excited to announce our new COTR blog, Rewind, recapping some of our exciting ministry that took place during the month! 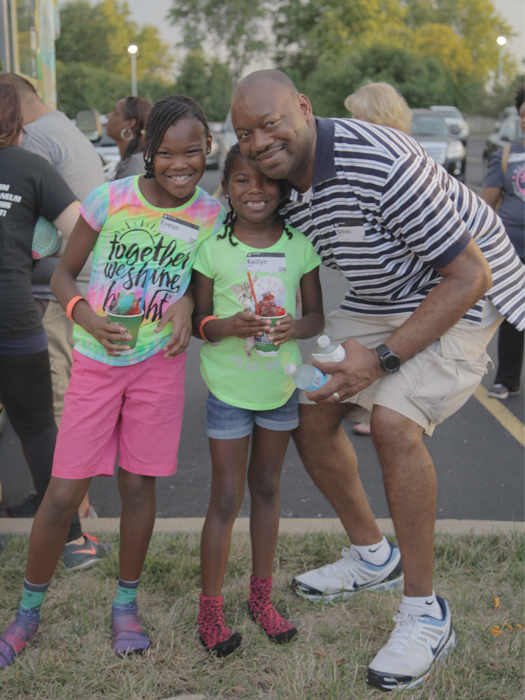 August was full of ministry, with a community outreach, our new monthly Family Night, and a two-day Ladies Conference! We hope you enjoy reading and seeing how your church is impacting hundreds of people through our ministry. 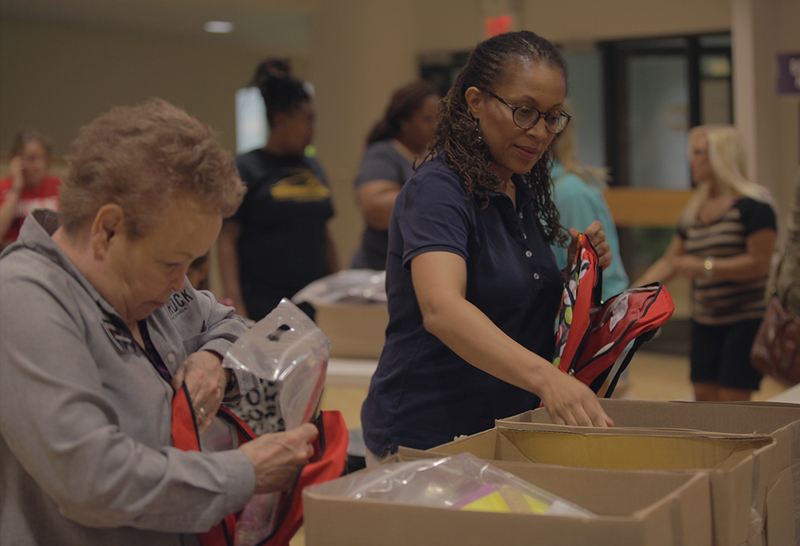 Through our We Care outreach ministry and your generous financial support, we were able to provide over 500 new backpacks filled with much-needed school supplies. Many volunteers lent their time at our packing party on Wednesday, August 9th! Partnering with the St. Louis ESOL Bilingual Migrant Program, the backpacks were distributed at their annual Back-To-School Festival on Saturday, August 12th. Over 1,091 school-aged students from many cultures were blessed at the Festival. In addition to the backpacks, we were able to provide much needed monetary assistance to stock the school’s food pantry. It is exciting to be able to go beyond our four-walls and help our community! 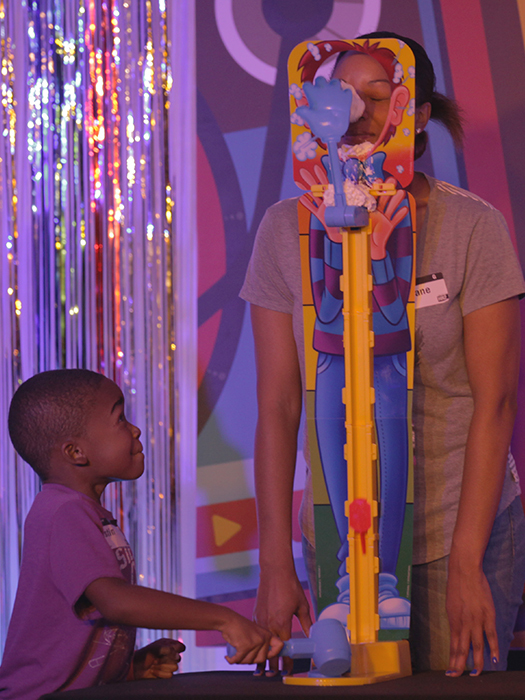 On Sunday, August 20th, we launched our first Family Night! 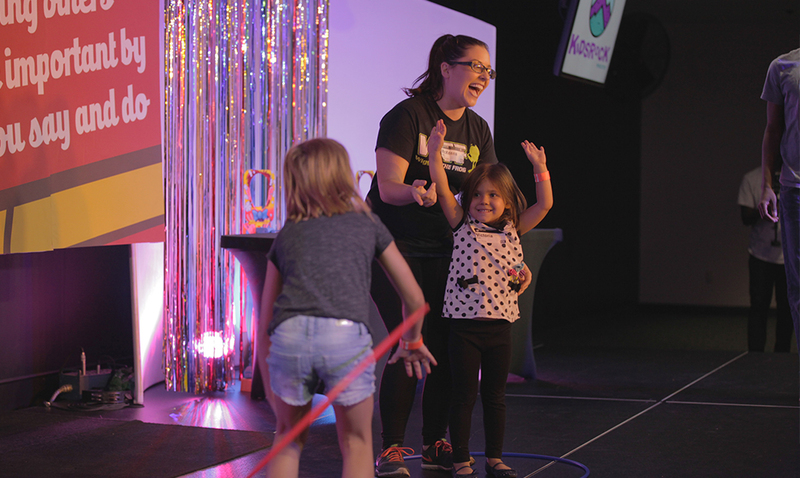 It was a huge success, with hundreds of families attending with their school age children, mixing a high-energy family service, and lots of fun. The lesson included teaching children to respect their parents, and for parents to give their children relationship. 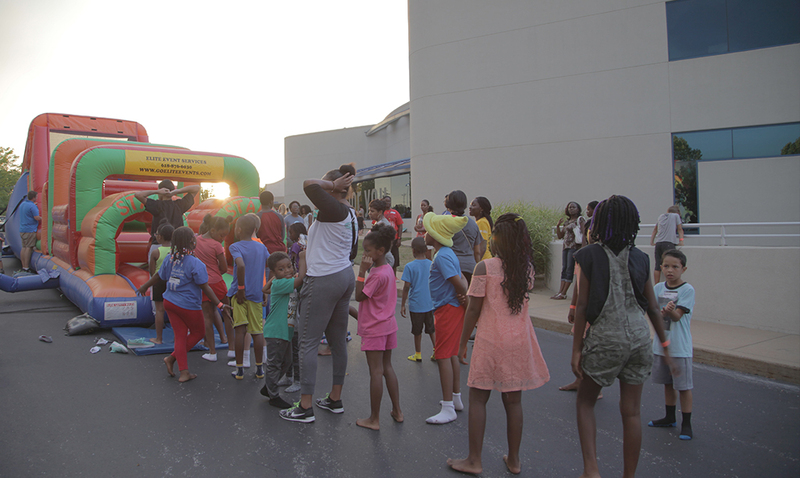 Following the service, games, inflatables, BBQ, and snow cones on the patio topped the evening! If you would like to attend our next Family Night Glow In The Dark Party on Sunday, September 17th, you can R.S.V.P. here. What a 2-day event for the ladies of COTR. They left inspired and full of Crazy Faith! 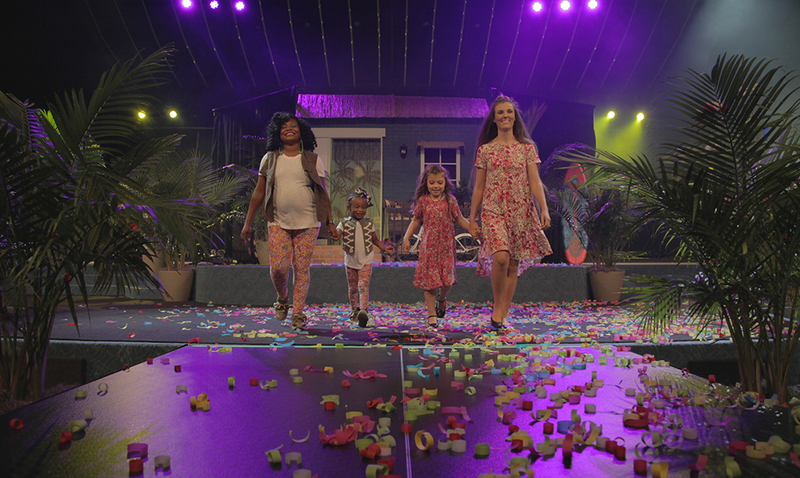 The Heaven on Earth Ladies Conference August 25th, and 26th was an amazing event! Hundreds of women streamed in to experience the remarkable energy and amazing Word brought forth by Pastor Kim and Marilyn Hickey. Friday night's festivities included a balloon and beach ball drop, fashion show and fantastic music, along with a performance by our Uprising Youth dance team. 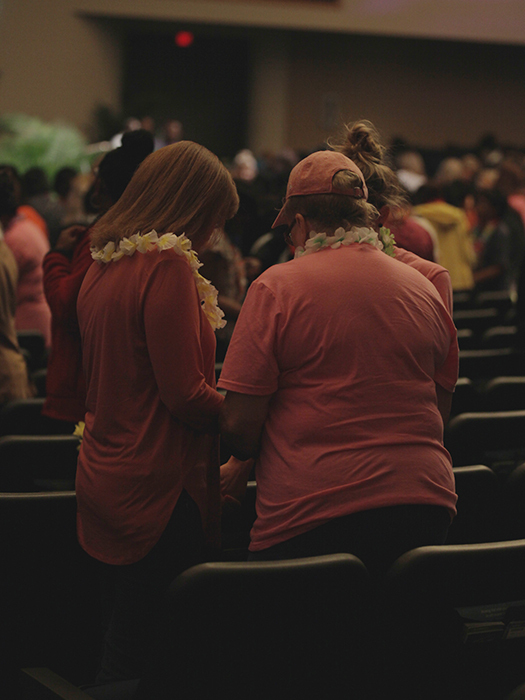 Pastor Kim shared an awesome message, led a powerful time of prayer resulting in breakthroughs as well as new connections for the ladies. The evening was capped with Dole whips, shaved ice, popcorn and a movie. 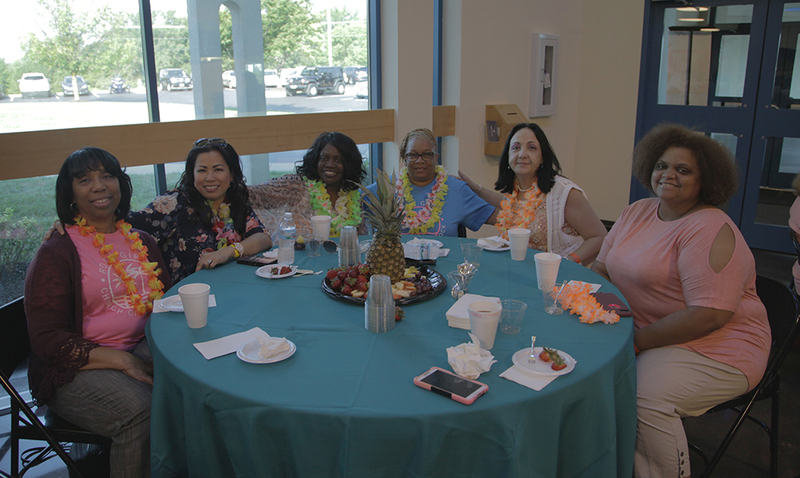 Saturday morning welcomed the ladies with more connect time and tasty donuts and fruit. We had more exciting giveaways including a cruise for two! 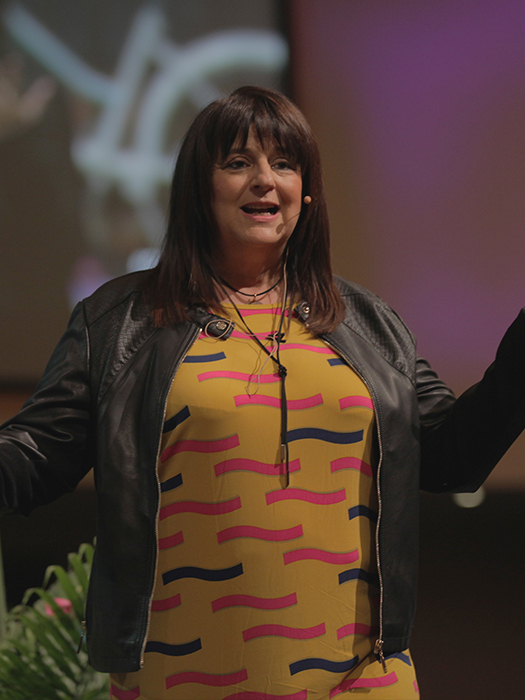 Praise and worship paved the way for an inspiring teaching from Marilyn Hickey! We were inspired about "Crazy Faith" and our belief levels rose like never before! What an incredible time for the ladies of Church On The Rock at our Heaven On Earth Ladies Conference!